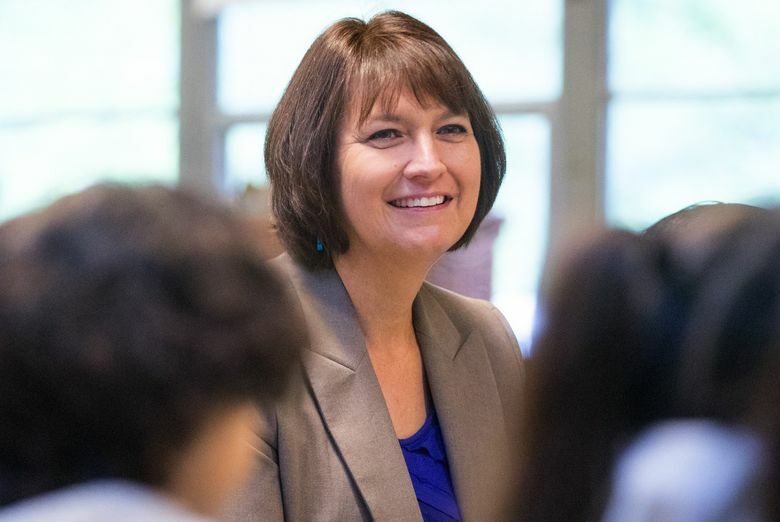 After spending the first part of the school year in listening mode, new Seattle Public Schools Superintendent Denise Juneau, who took up her post in July, is previewing the plan she will use to steer the state’s largest school district. The district is collecting feedback on the draft of its three-to-five-year strategic plan until Jan. 22 at noon. The final draft will be released in March. At first glance, there’s some similarity between what’s been shared in the draft so far and the previous strategic plan — including an emphasis on improving systems that have kept students of color behind, something the district has tried and failed to accomplish for decades. Even so, the language in the draft on racial disparities is stronger and more specific than the most recent plan, which addresses a common criticism that parents and advocates have posed to the district: What do you mean by racial equity? The Seattle Times asked education advocates of color to share their thoughts on the draft, which includes among its priorities an “intentional focus” on black male students, who Stanford researchers found tested more than three grade levels behind the city’s white students in 2017. Overall, the advocates said they liked what they saw so far, but cautioned that to meet the objectives, the school district would need to undergo a significant culture change. The final strategic plan, which in the past has been dozens of pages long, will include more concrete ways the district will measure its progress and include the steps it will take to meet its goals, said district spokesman Tim Robinson. The draft suggests decreasing discipline rates as a potential measure for school climate: a reflection of how welcoming school environments are for the people of color most underserved by public schools, which the plan says includes black and African, Asian Pacific Islander, Hispanic/Latino, and Native American students. Montgomery, who is black, said the district’s best route for achieving this goal is to improve its family-engagement practices, a priority area in the draft, and to disseminate more detailed student discipline data — including information on which educators are doling out punishments and to whom. In its most recent scorecard, the district met its improvement target for reducing discipline practices that disproportionately punish students of color — though a gap still exists. Aneesa Roidad, a member of a new Student Advisory Board created by the superintendent, said the district will likely face push back from parents and staff at schools on implementing the plan. She pointed to priority No. 3, “develop a culturally responsive workforce,” as an example. The draft, which was several months in the making, involved considering feedback from Superintendent Juneau’s listening tour, an online survey and the guidance of a committee comprised of community members and district and union staff. The district paid consulting firm DMGroup to compile and analyze the feedback. A good deal of public input did make it into the draft, said Erin Okuno, executive director of the Southeast Seattle Education Coalition and member of the strategic plan steering committee, which pushed for the comment period on the draft. AJ Oguara, a recent school district graduate and former program coordinator at the Urban Native Education Alliance, a Seattle-based organization that provides support on behalf of Native American students, said he appreciated how many of the listening tour sessions hosted by Juneau focused on specific cultural communities. He wants to see these meetings continue — not only to encourage more communication between the district and families, but between the various populations served by Seattle Public Schools. Creating the cultural shift that will push the plan forward requires families from different backgrounds to understand each other’s challenges and barriers in the school system, said Oguara, who is an enrolled member of the Colville Confederated Tribes and has Nigerian ancestry. Prefer to give your feedback on the draft in person? There are five more community meetings planned where you can respond, including one on Thursday evening hosted by the Southeast Seattle Education Coalition. A summary of the draft feedback will be presented at a Seattle School Board work session on Jan. 30.